TBILISI-On November 22, the Welcome to Georgia! 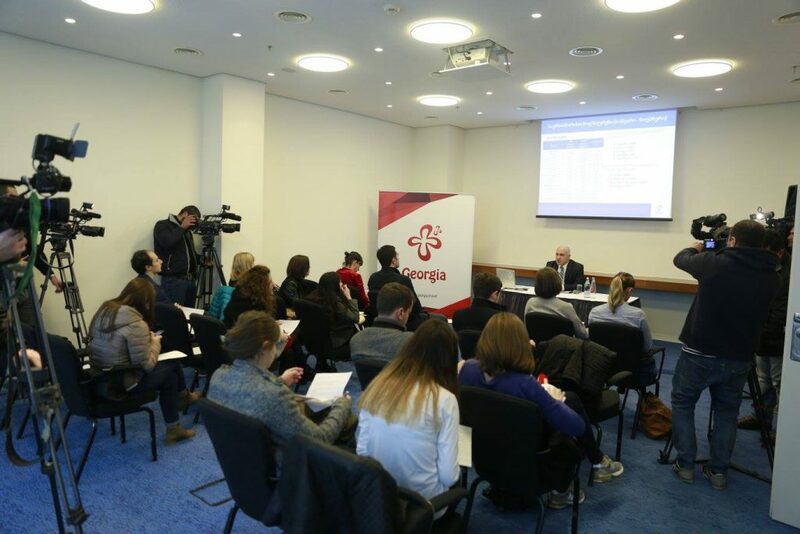 National Tourism Awards Project with its Official Partner JSC Bank of Georgia (BoG) held a Press conference at the head office of the Bank. The press conference was attended by Maryna Chayka Co-Founder and CEO of the Welcome to Georgia! National Tourism Awards; Zurab MasurashviliHead of MSME Banking Department in BoG; Giorgi Chogovadze, Head of the Georgian National Tourism Administration; Irakli Lekvinadze, Deputy Mayor of Tbilisi; and Partner of BDO Georgia, Ivane Zhuzhunashvili. During the press conference the importance of the project for the Georgian tourism industry was stressed with participants discussng how crucial it is to encourage companies working in this field.